You’ve set up a compost bin, you recycle your wine bottles and you always use both sides of your computer paper — but what about your light bulbs? Find out how easy it is to save money and energy by switching to energy-efficient globes. You may already nag the kids to turn off the lights whenever they leave a room, but switching from your standard old light bulbs to more energy-efficient alternatives can seriously help your hip pocket and the environment. In fact, the federal government’s Department of Climate Change and Energy Efficiency has said that switching from incandescent light globes to compact fluorescent lamps (CFLs) can save households an average of $50 a year on their electricity bills. And if that’s not enough to motivate you, how about being involved in the global mission to cut carbon emissions? If you’re in the market for finding alternatives to inefficient incandescent light bulbs, CFLs and halogen bulbs are great options as they can be used in most light fittings. Both are readily available from supermarkets and hardware stores. CFLs are the more energy efficient option. They only use around 20 percent of the energy needed to produce the same amount of light as an incandescent light bulb and they last about four to 10 times longer. They use the same technology as the linear fluorescent tubes used in most Aussie schools, hospitals and offices, but are specially designed for normal household use. Warm white: Soft, warmer light, similar to the light from traditional incandescent bulbs. Cool white: Neutral light, similar to office lighting. Daylight: Similar to outdoor, midday light. CFLs can cost more per individual bulb ($3 to $6), but this extra initial cost will be offset many times through reduced energy use. In areas where lights are used a lot, the government estimates that savings from reduced electricity bills should cover the initial purchase price within a few months. 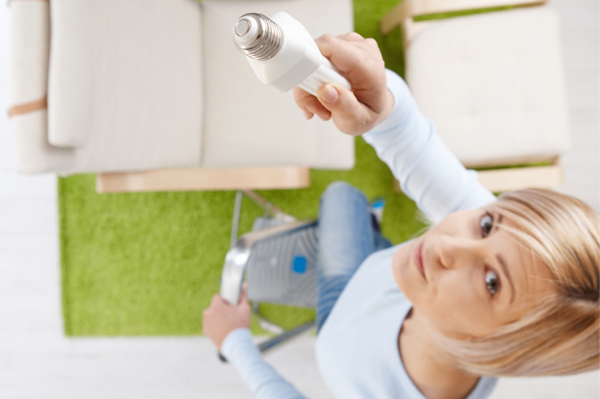 At the moment, some CFLs don’t work in a few specific types of lights, such as movement sensors or dimmers. Make sure you check the individual product packaging or get in touch with the manufacturing company to find out more info. Halogen bulbs are considered to be better suited to dimmer lights, though they’re considered less energy-efficient than CFLs. Find detailed info about how best to dispose of your particular type of energy-efficient light bulbs here.